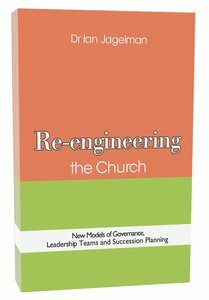 This third leadership book by Dr Jagelman tackles the thorny questions related to church governance; discusses the tools for use in designing & redesigning church structures and addresses the issue of succession planning. Sample documents are included which can be used in real situations. A must read for Christian organisations in change or growth. Ian Jagelman (D.Min., Fuller Theological Seminary) is head of the Leadership Program at Southern Cross College, founding senior pastor of Christian City Church, Lane Cove, and Director of the Jagelman Institute. He is a widely recognised teacher on leadership as it relates to church and business. His books, The Empowered Church, The Re:Enginnered Church and The L Factor: Identifying and Developing Christian Leaders are influential around the world.-Editorial Review.